TravelDNA™ is designed to help our clients claim their role in todays world of Electronic Distribution. 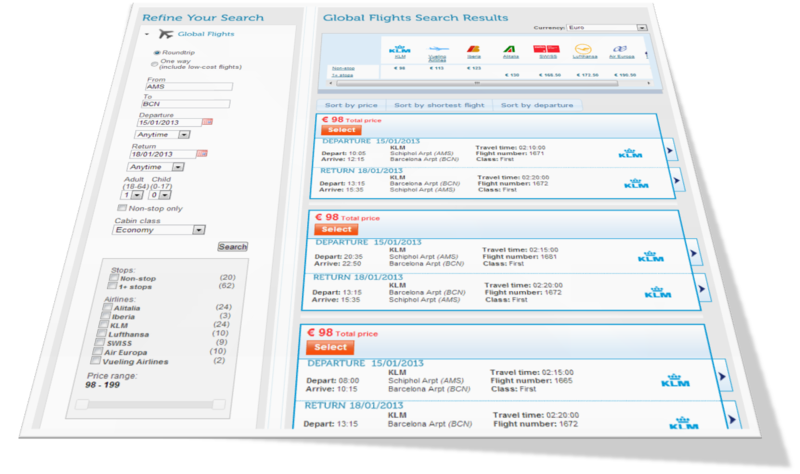 During the past 12 years we have released a new version of TravelDNA™ every second year. In Version 7 we have yet again added many new features. Our new web front end is state of the art and comes with its own CMS, enabling our clients to use TravelDNA™ not only as their reservations backbone, but as their entire corporate and consumer presence on the web at minimal cost. We have 12 years of experience with simplifying the complicated. TravelDNA™ consists of just 4 modules, together connecting and communicating with the central database servers in the United States and Europe, using the internet as a secure data transportation vehicle. They cover your entire Supply Chain. TravelDNA™ Distributor is our all encompassing distribution solution. Wether you want to work B2B or B2C or B2B2C, it covers it all. TravelDNA™ Central offers total control over your distribution network and availability and pricing of service providers and connected points of sale. 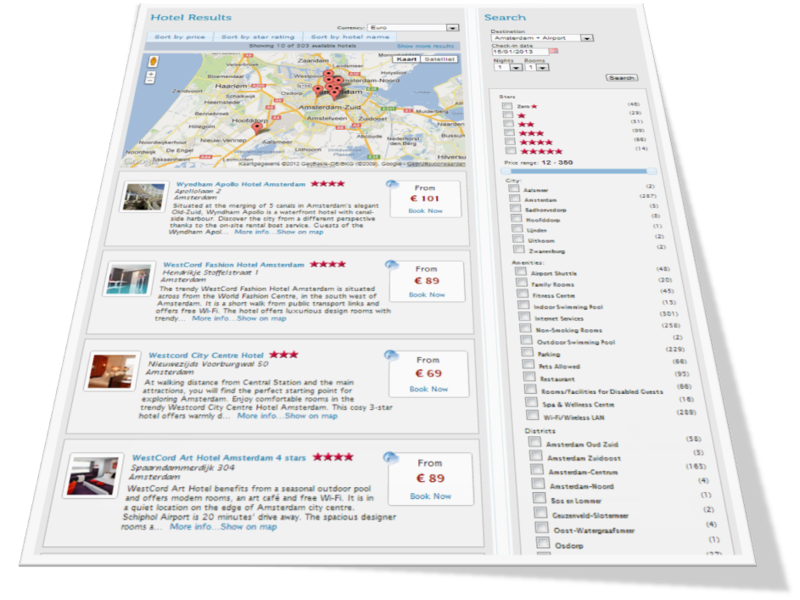 This extranet enables hotels and other Service Providers to update their own availability and prices in the central database at any time and receive direct confirmation of bookings. TravelDNA's webservices enable live XML connection and seamless integration of external service providers. is the answer to these questions and many more! Are you a Outbound Tour Operator, Receptive Inbound Operator, Excursion Operator, Tourist Board/CVB, Hotel Association or a Travel Management Company? TravelDNA™ Distributor is our all encompassing distribution solution. Wether you want to work B2B or B2C or B2B2C, it covers it all. We have completely re-built our front-end technology. TravelDNA™ Distributor now offers complete web based OTA functionality to service the needs of consumers, affiliates, corporations, third party distributors, your own reservations agents and counter staff. We have built on the latest dot.net technology and have fitted TravelDNA™ Distributor with enterprise size content management capabilities for you to build and maintain your own websites and combine all your content with your bookable inventory. You can now use TravelDNA™ not only as your reservations backbone but also as your entire corporate and consumer presence on the web at minimal cost. 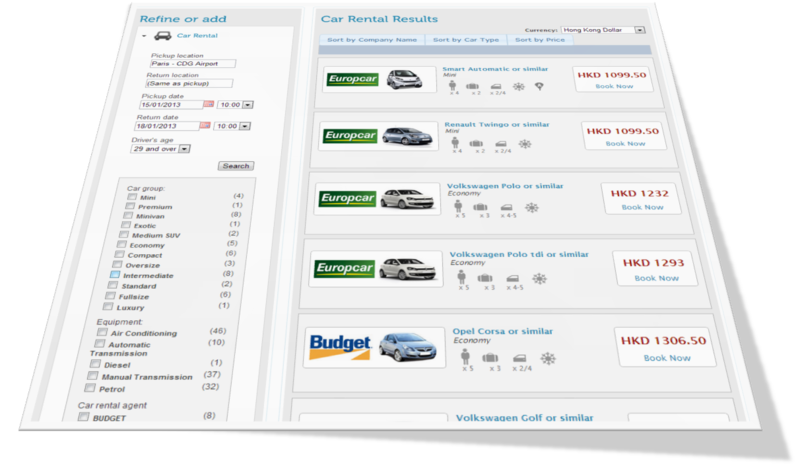 Dynamic Packaging of flights, hotels, carrental, excursions, activities, multi-day tours, packages, transfers and webshop articles. Your dashboard to all activities. TravelDNA™ Central offers total control over your distribution network and availability and pricing of service providers and connected points of sale. It handles your reservations and interfaces with back-office systems such as bookkeeping software and customer relations software. 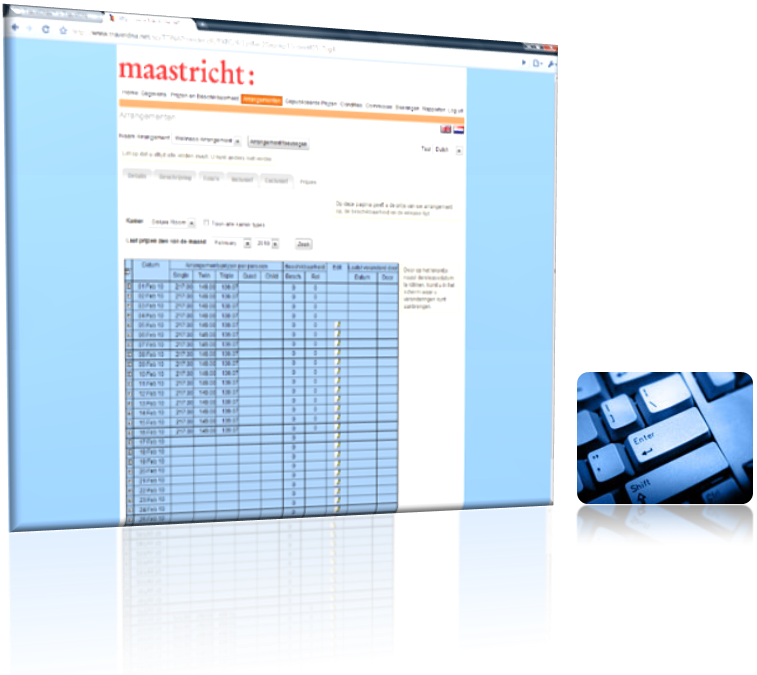 Export of booking data for accounting, invoicing etc. 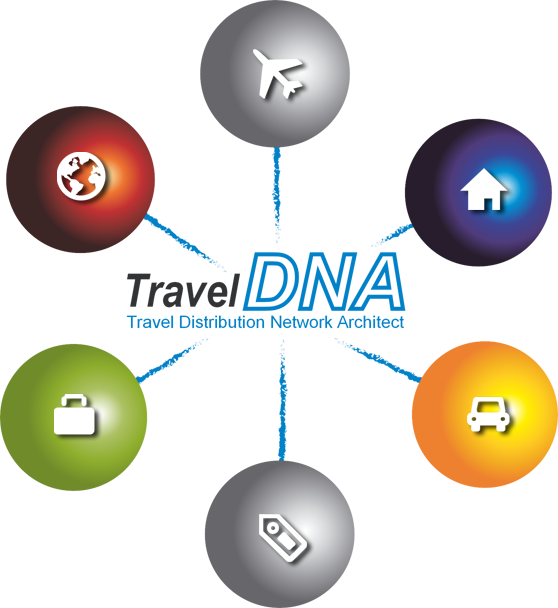 TravelDNA's webservices enable live XML connection and seamless integration of external service providers and distributors into Travel DNA™ Supplier, Travel DNA™ Buyer and TravelDNA™ Provider. Integrate the content of your choice and present it in your own look & feel. Benefit from TravelDNA's advanced features such as multi product itinerary building, booking management, service provider settlement, management reporting and secure payment processing. Complete documentation is available for outside providers and distributors to connect to TravelDNA™ via XML webservices. Our company can be characterized as synergy at work. It is intended to offer industry wide reservation-, information- and content-management solutions, enabling our customers to capitalize on their own natural resources without heavy investments. The owners of the company have a wealth of experience, ranging from the congress industry and international tourist boards to major international hotel chains, airlines, car rental companies as well as information- and communication technology.